Children 12 and under stay free in room with parents. Reservations can be cancelled up to 21 or more days prior to the scheduled arrival date. A cancellation charge of 3 nights will apply if cancellation is received less than 21 days prior to arrival. Cancellation should be made in writing. See below for Holiday Cancellation Policy. Reservations can be cancelled up to November 1. After November 1, it is a full forfeit of the entire stay. Cancellations should be made in writing. Rates are quoted in US dollars. Hotel La Vista Azul accepts all major credit cards including MasterCard, Visa, Discover and American Express. Corporate checks and bank drafts are accepted by prior arrangement only. Payment can also be sent to us via wire transfer on a request basis. Contact us for more information. Rates are subject to the Turks and Caicos 12% government tax, a 10% service charge and a 5% facility fee, which will be added to your bill. In the event of an official evacuation order, La Vista Azul Hotel will not penalize any guest for any unused nights of their stay and will offer an incentive discount for a return visit at some other time applicable to the number of nights that were unused. This incentive will be based on availability and room rates may vary due to the season. 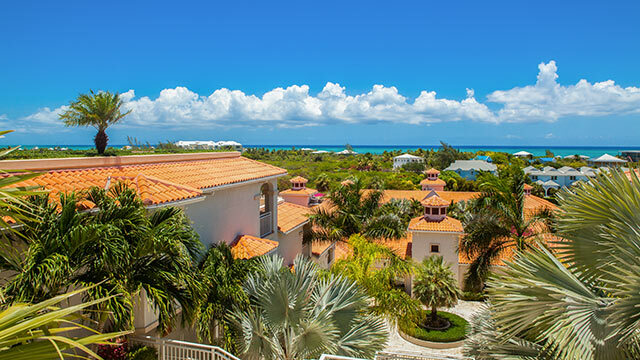 In the event of an official hurricane warning issued for the islands of Turks and Caicos, La Vista Azul Hotel will waive the cancellation penalty and either refund the full deposit, or change the reservation to a future date. It’s our mission to provide you with the highest level of service possible and to make your Turks and Caicos holiday memorable for all the right reasons, so if you still have any questions then please do not hesitate to get in touch with us directly at [email protected] or call our Turks and Caicos reservations team on 1-866-519-9618.